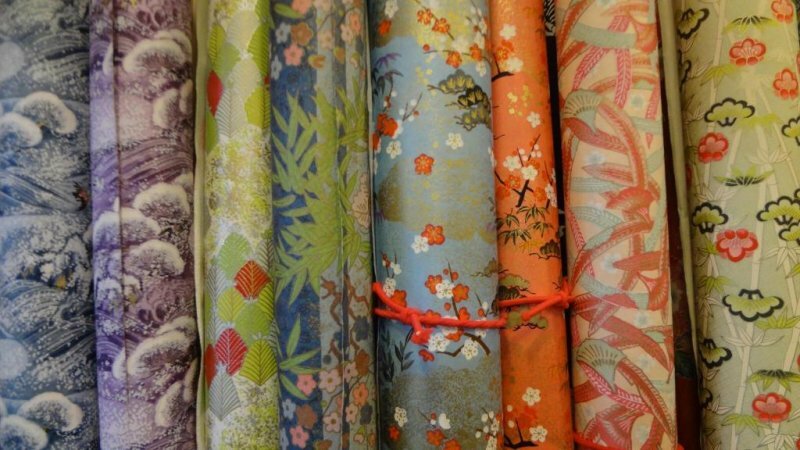 Washi is traditional Japanese handmade paper. It is quite soft but tough, and keeps longer than Western paper. 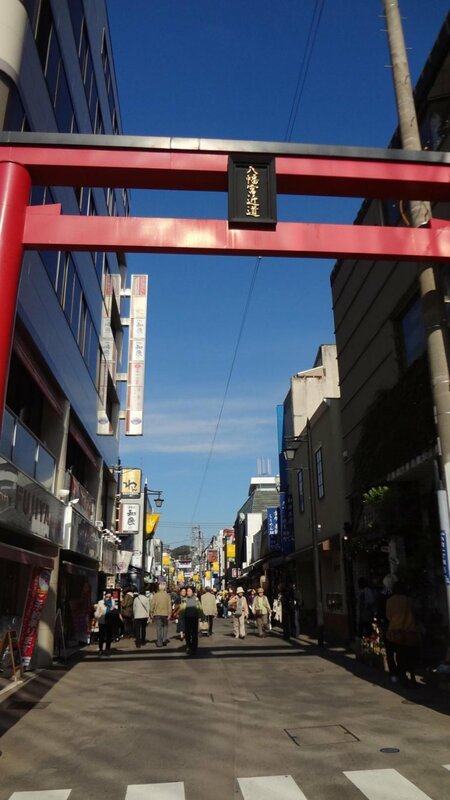 No one who visits Kamakura for the first time can resist passing through Komachi-dori Street. 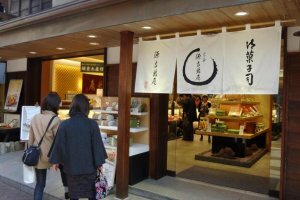 Komachi Street is a long, narrow shopping street that leads from Kamakura Station to very nearTsurugaoka Hachimangu shrine. 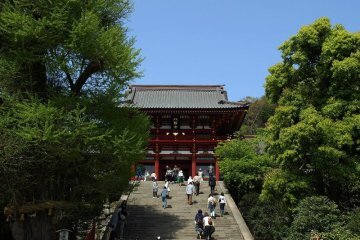 There is a red shrine gate at the start of the street, and many small but interesting shops here. 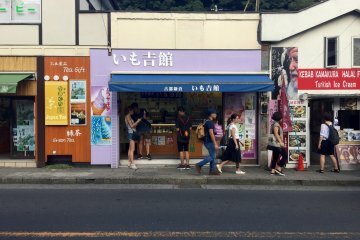 On most days, tons of tourists jam this area of Kamakura. It really bustles! 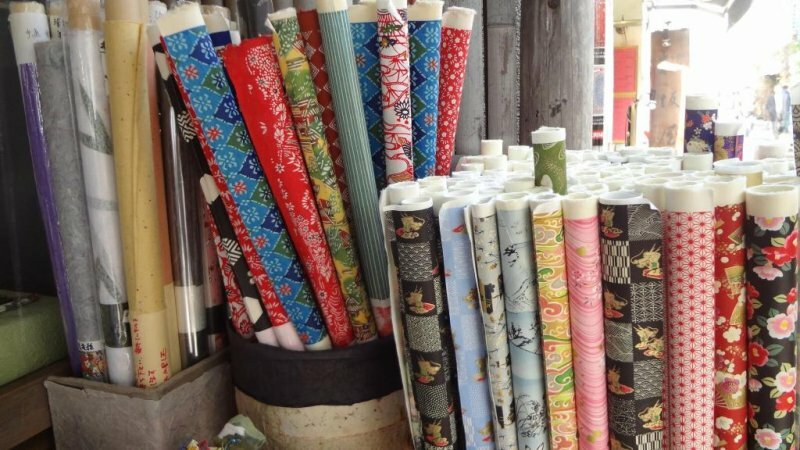 Washi paper items make very nice souvenirs. They are pretty and light. They come in a variety of designs. 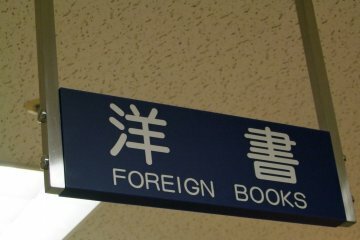 And they are quite Japanese! 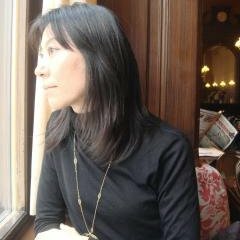 When I went to the U.S. to meet my husband’s family, I brought for each of them a Japanese hand fan that I carefully selected one by one. They were VERY glad to receive them! 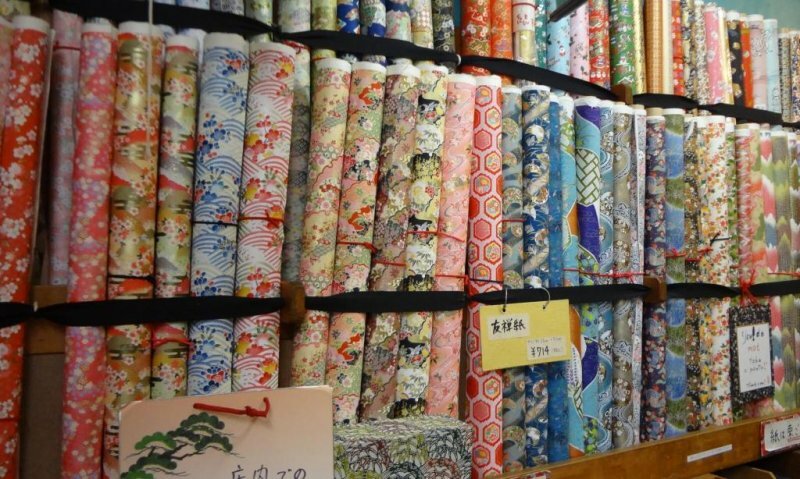 Shato (社頭) is a store specializing in Washi and Washi goods. 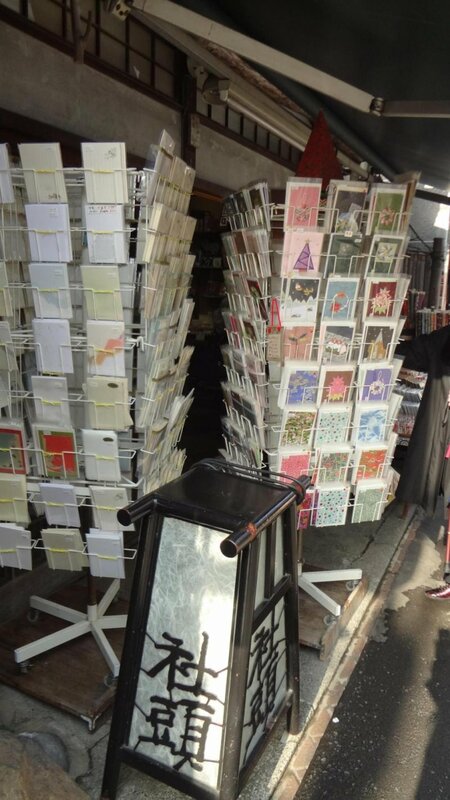 It is on the left side of Komachi Street, around two-thirds of the way down. 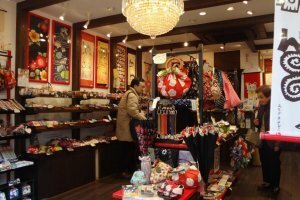 The store has a rich selection of Washi designs, such as Yuzen Chiyo-gami (with kimono design), Katazome (repeating patterns), Chirimen-washi (crepe paper), and so on, and also has various kinds of other paper items, such as stationery, elaborate envelopes for presenting monetary gifts or special tips, hand fans, and paper dolls. 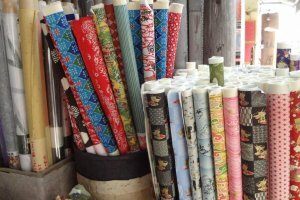 Washi is traditional Japanese handmade paper. It is quite soft but tough, and keeps longer than Western paper. The oldest paper that still exists from the Asian continent is a hand-copied sutra from 292 A.D. 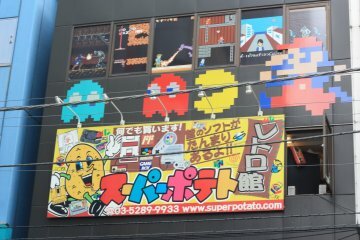 Although it isn’t made of washi, this was where and how it all began. In 805 A.D. the government set up an original “Department of Papermaking” and thereby established the Japanese style. 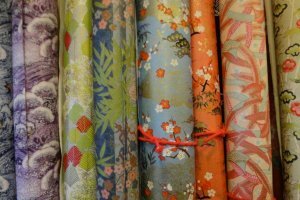 Washi is usually made of paper mulberry, mitsumata (a shrub) or gampi trees. The paper made from mulberry is superior in strength to others. 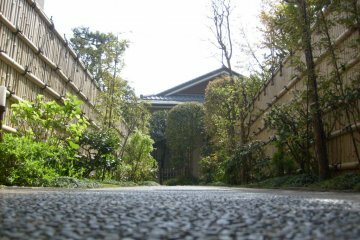 Mitsumata shrub paper is a strong absorber of water. And the paper made from the gampi trees is durable and repels insects. 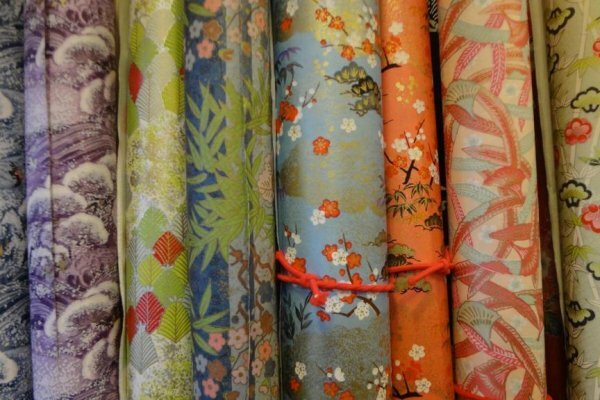 Washi would make a nice gift for someone or just as a treat to yourself! It can be used on lampshades, as a place mat, and as a book cover. Why not be creative and see how else you can use it! 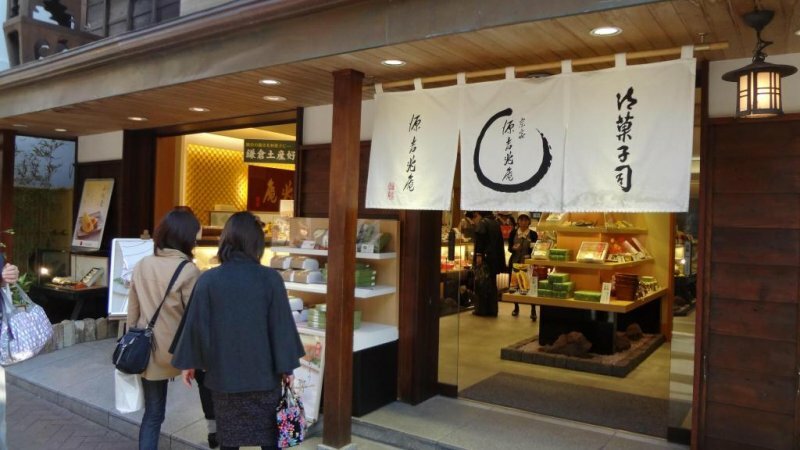 Minamoto-Kicchou-an (源吉兆庵) is a really nice Japanese sweets shop. 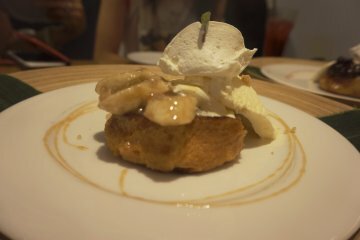 Their bean jam is refined and tasty. 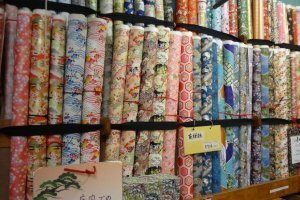 There are several Tenugui shops along the street. Tenugui is a Japanese cotton cloth, originally used for Japanese daily life. 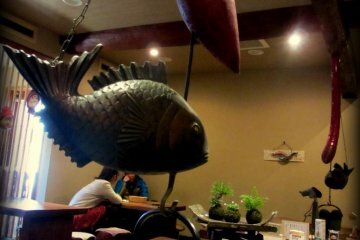 But these days, it is more fashionable and variable in design. You can hang it on your living room, use it for wrapping gifts, or wear it as a scarf. 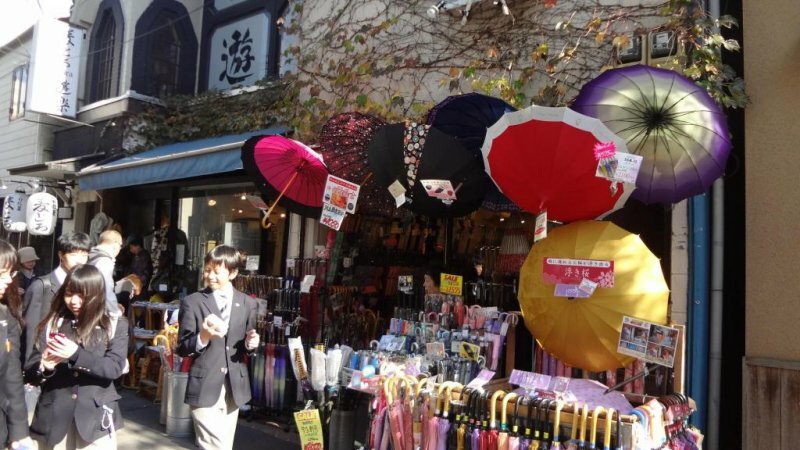 The numbers of ribs in a Japanese style umbrella is more than that of a Western style umbrella. 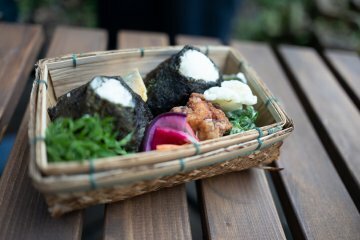 Traditional Japanese umbrellas have bamboo ribs attached by washi paper and they are covered with vegetable oil to ward off rain. The umbrellas here are not authentic traditional umbrellas, but they look Japanese. They are very nice! 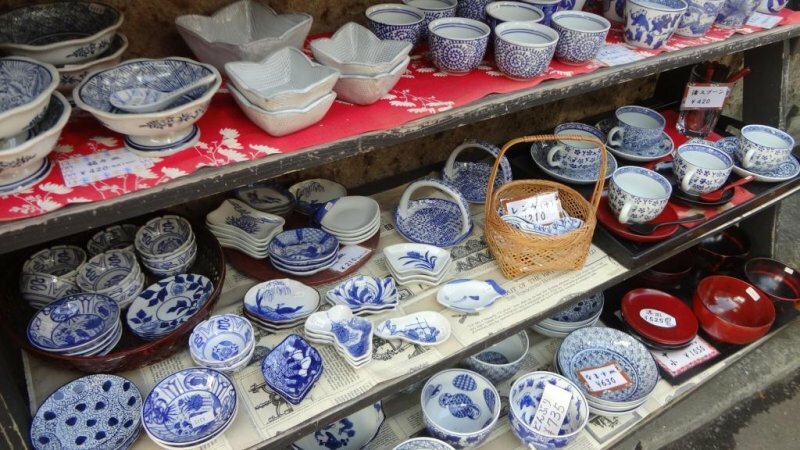 A few shops deal with Japanese tableware. 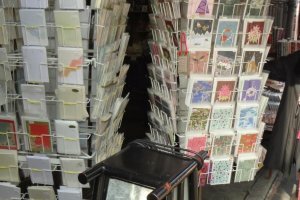 Some of them are quite cheap and casual, and others are really nice and of high quality. Please try to find your own favorites.